There are a few ways to find the differences between two Excel worksheets. 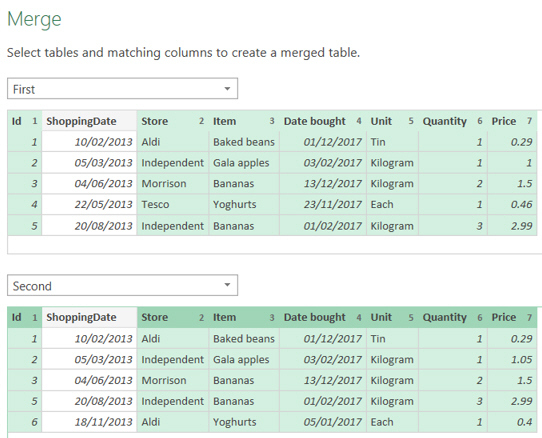 This blog considers 3 methods (using Excel formulae, using Query Editor and using the Inquire add-in). This method uses Query Editor to load up the data for the two worksheets and then merge the two tables together. 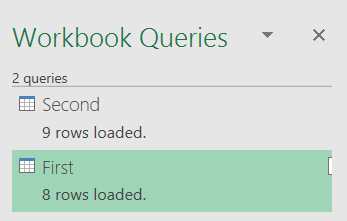 This is the option for Excel 2016 (you can do this in Excel 2010 and 2013, but the ribbon option is different). Double-click on either query to go into Query Editor. This option on the HOME tab of the ribbon will allow you to compare the two sets of data. Use the CTRL key to choose columns which should be the same in both tables. The columns are numbered (Query Editor will match them in this order). This option, for example, would show those rows which are in the second table but not in the first. You could now repeat this to show rows in the second worksheet which aren't in the first. Very clever! I prefer this way to the Excel formulae method (it's easier to use, for one thing). You can download the final file containing the two lists of differences here.